Quick reminder: today we will begin sending acceptance letters to new GHCDS families. Going forward, all students—whether returning or new—will be admitted on a first-come, first-serve basis, space permitting. 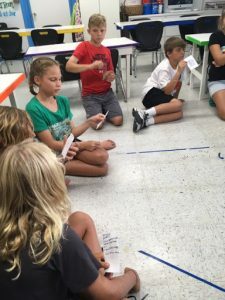 While the school as a whole can accommodate well north of 400 students comfortably, individual classes—especially in the lower and middle school—can reach capacity forcing us to create a wait list. We have already had a record number of re-enrollment contracts arrive so encourage everyone to submit your materials early! All re-enrollment contracts and related information were emailed to current parents before spring break. 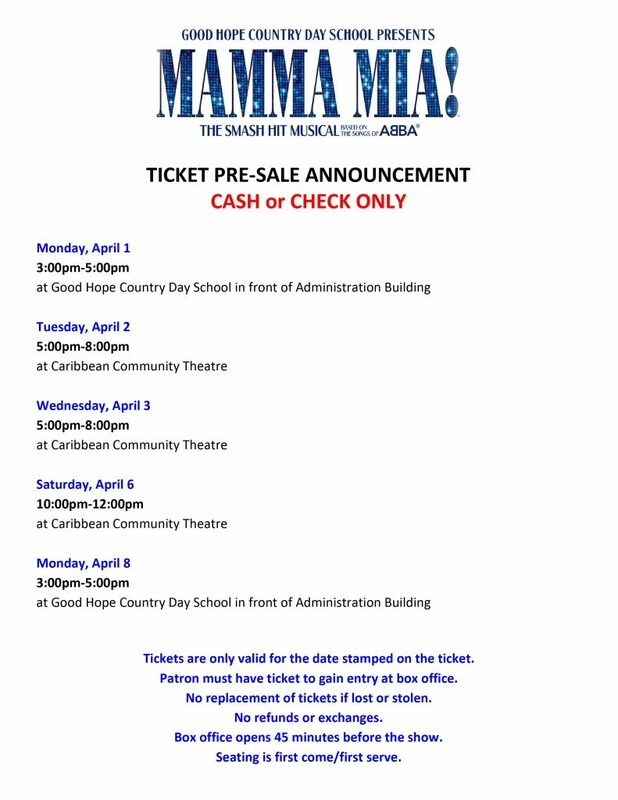 If you did not receive any communication from the school, please contact Mrs. Alma Nieves (anieves@ghcds.org or 340.778.1974). Similarly, if you know now that you plan not to return, please let Ms. Nieves or your teacher know so that we can plan accordingly. Thank you! 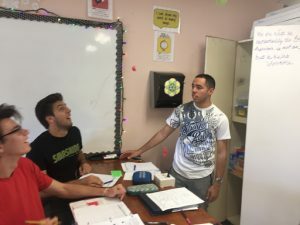 On a different note, as our Grades 6-12 math faculty train with their CPM coach and our K-5 faculty prepare for upcoming Bridges math training, an article was shared with me reminding us the importance of adopting a “Growth Mindset”—in this case applied to math. I encourage you to pay attention to your own and your child’s language throughout the week. Are they embracing challenge? Here was a slide I shared with faculty, trustees, and parents in September of 2016 applying mindsets to our school as a whole. It’s amazing how different the results can be depending on which mindset you adopt. The Week of the Young Child is an annual celebration hosted by the National Association for the Education of Young Children (NAEYC). The schedule of events is April 8-12 2019. Music – Mr. Belgrave’s fifth grade steel pans will perform for the children. Tasty Tuesday and fitness – The children will have yoga with fitness instructor Ms. Shera. Also, Fraco man, Mr. Brown will come to school and the children will have a Fraco treat. 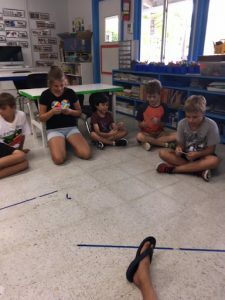 Work Together – The second graders will visit the Preschool. The children will work together and use building blocks and other building materials to build. Family Day – Families Luncheon. Families are asked to bring in a dish to share and come to school and have lunch with the children. We Want to Deliver Your Yearbooks On Time. The Snorkeling Minigusto explored the extraordinary undersea world around St. Croix, including Cane Bay, the Frederiksted Pier, Dorsch Beach and Tamarind Reef. 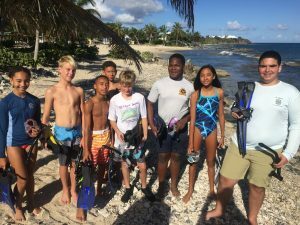 For the first time, students saw seahorses at Dorsch beach, including one that was free-swimming. We saw a teeny, teeny stingray and a huge green turtle. Photo: Anna Weilkel, Jackson Archambault, Ronel Schjang, Josh Rogers, Tyler Jones, Melvyn Fox, Gabby Evora, and Hakeem Hamed. In Physics class this week, students explored the energy transformations of different toys and materials. Photos: Mayah Russell fires a Nerf gun while John David and Bryson Ogletree look on. Alex Adams uses a pop toy while David Conhoff and Nayan Bansal watch. 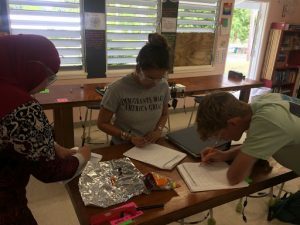 Alinah Hamed, Maya Acosta and Taylor Hasson burn a Fire Cheeto. Representatives from the U.S. 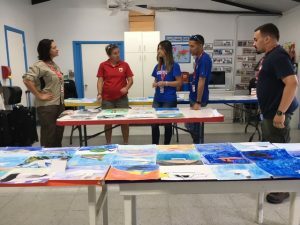 Fish and Wildlife Services Judging student’s artwork. 2nd – 6th Students demonstrated their artistic skills with drawing techniques and completed a realistic rendering of migratory birds found in the Caribbean to submit for the National Junior Duck Stamp Competition. Winners will be announced at Friday Gathering on April 12th -check them out in next week’s news! Mrs. Pelovitz’s 4th Grade class enjoys looking at the Artist Trading Cards they received. 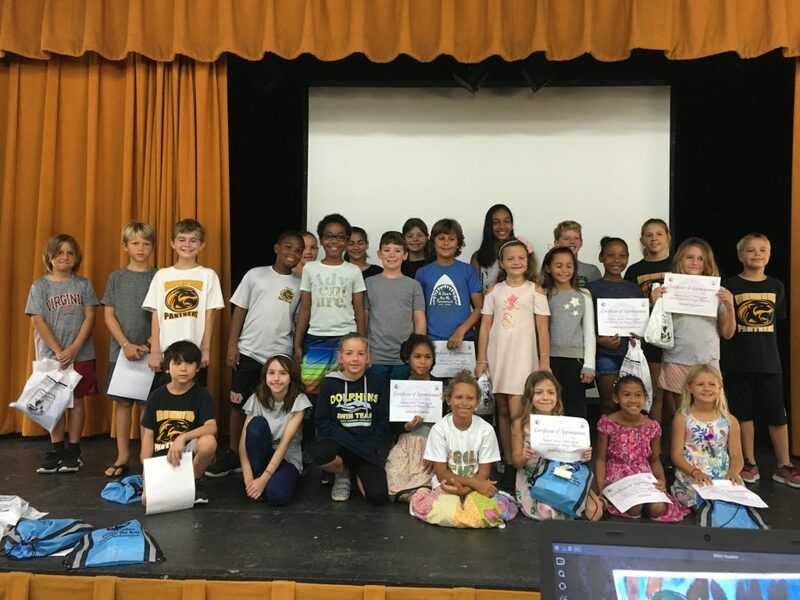 GHCDS Art Students participated in an Artist Trading Card organized swap — we traded art with a school somewhere else in the world. We received art from places like: San Antonio, Texas, Green Bay, Wisconsin, and as far away as Italy and Japan! Through this experience, students discovered other student artists, where they live, and and how they learn. Democracy? Socialism? or Guardianship of the Jurist?? 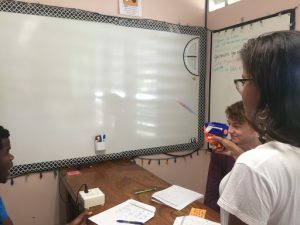 On Thursday, students in Mr. Fletcher’s World Revolutions comparative history class engaged in a resolute role-playing simulation in which they assumed the roles of Iranians at Tehran University debating the future of their country in the spring of 1979. The three policy options they debated were whether to develop a social democracy, build a socialist future, or embrace the ‘Guardianship of the Jurist,’ the political theory developed in exile by Ayatollah Khomeini. A group of ‘undecided citizens’ (with individual background profiles) cross-examined each policy option, interrogating them for specifics answers on what values their positions were based, the impact of their options on foreign relations, their long-term vision for the country and ultimately what the direct impact of their options would be for the people of Iran, and a spirited back-and-forth debate ensued. 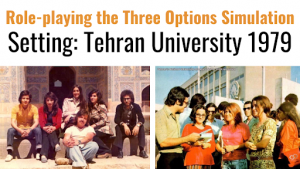 The simulation was adapted from the ‘Iran Through the Looking Glass: History, Reform and Revolution’ curriculum developed by Brown University’s The Choices Program. 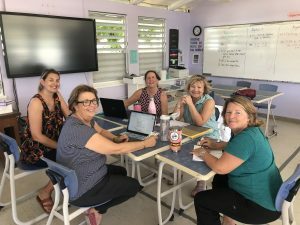 This week GHCDS hosted Susan Hoffmier, an international teacher mentor from CPM, the math program GHCDS uses for grades 6 – 12, part of continuing professional development for our math teachers. Susan observed math classes and provided feedback to our math teachers.In addition they held discussions on improving routines, such as lesson closure, homework, notes and student feedback. Teachers spent all day Friday with Susan, working to improve math instruction. FAMILY BINGO NIGHT is coming soon! We will be serving up a delicious spaghetti dinner, and Coach Amy and Sue Gibbons will be calling bingo! 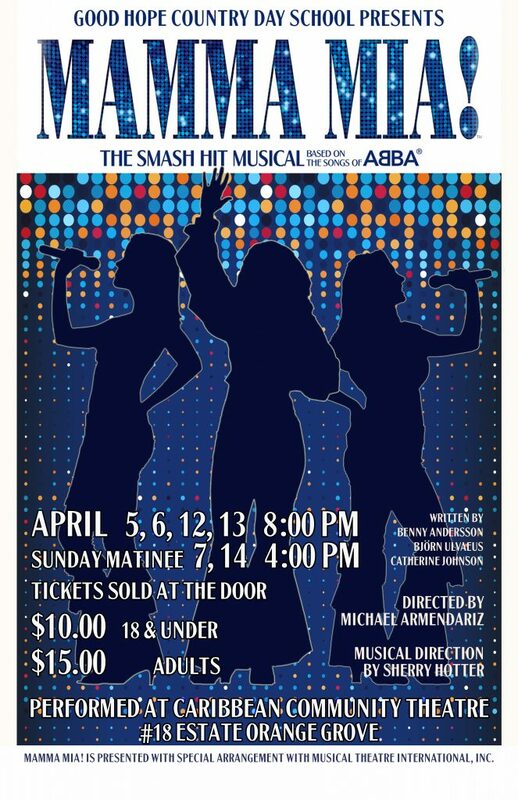 It is sure to be a fun night! Please mark your calendars for Friday, April 26th from 5:30-8:00 PM. More information to follow soon. Next Meeting Date: Thursday, May 16th at 8:00AM in the Pavilion and 6:30PM in the Library. During these meetings, we will be having elections. Nominations will be collected prior to this meeting and voting will take place at both meetings. Please plan to attend one of the meetings. Please see the following link for more information. 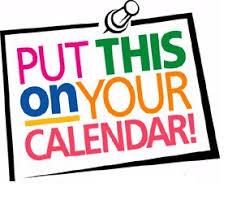 A tentative 2019-2020 Calendar as well as prior meeting presentations and minutes can be viewed at http://tinyurl.com/yy3gy3g9. Please send all questions and input to parentassociation@ghcds.org. It’s game time for Junior Varsity and Varsity Soccer! The Varsity Panthers will kick off on Wednesday, with JV’s first match on Thursday. Best of luck, Panthers! We have Just for Girls soccer training with the fabulous Coach Enzo on Tuesdays each week, from 3:15-4:15. Lady Panthers interested in attending, grades 2-6, should email me at acarter@ghcds.org. We’d like to have at least twelve playing and practicing each week. Our Varsity Lady Panthers softball team took their first win over Educational Complex 17-9. Congratulations to the players and their pitcher, Aleah Mann. Three cheers, also, for our coaches, Coach Rael Sackey, Coach Christopher Floyd and Coach Renee Hansen. Games-Thursday vs. RRES @ Home, Friday vs. LMES @ GHCDS. All games will begin at 3:45 this week. Games-Thursday vs. Free Will @ Free Will 4:00. Taxi will leave at 3:15.